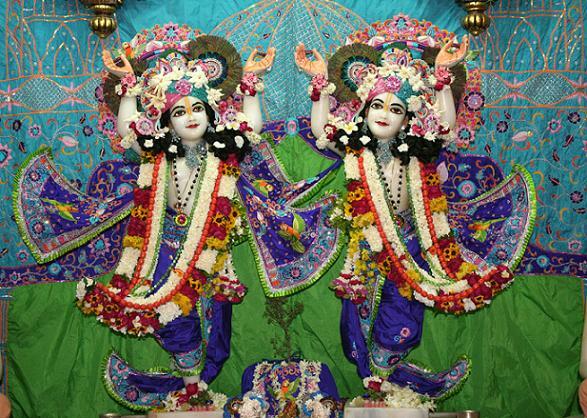 "So Krishna and Krishna's energy, there are two things. So we are praying, Hare Krishna. Hare means we are praying to the energy, the internal energy, the spiritual energy, Radharani. Hare. We are praying 'Hare, O the energy of Krishna, and Krishna.' Krishna is always with energy. Parasya saktir vividhaiva sruyate [Cc. Madhya 13.65, purport]. 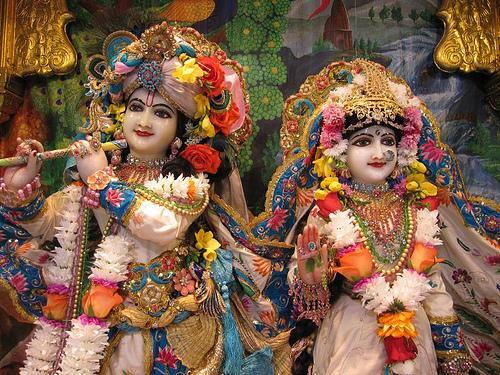 Krishna, or the Supreme Lord, has many multifarious energies. Whatever we are seeing, it is all manifestation of His energy. So we are praying both to the energy. We are praying to the material energy also -- material energy also, perverted reflection of the spiritual energy. Actually, there is no material energy. Everything is spiritual. But when the spiritual energy is covered by ignorance... Just like when the sky is covered by cloud it becomes dark. Similarly, spiritual energy, when it is covered by material energy... The cloud has no separate existence. It is also creation of the sunshine. Similarly, the material energy has also no separate existence. It is also creation of Krishna, but it appears and disappears. The spiritual energy remains. So when we dovetail ourself with the spiritual energy, then we become perfect. That is our perfection. So Krishna consciousness is dovetailing ourself with the spiritual energy and thus become perfect. And this human form of life is meant for that purpose."